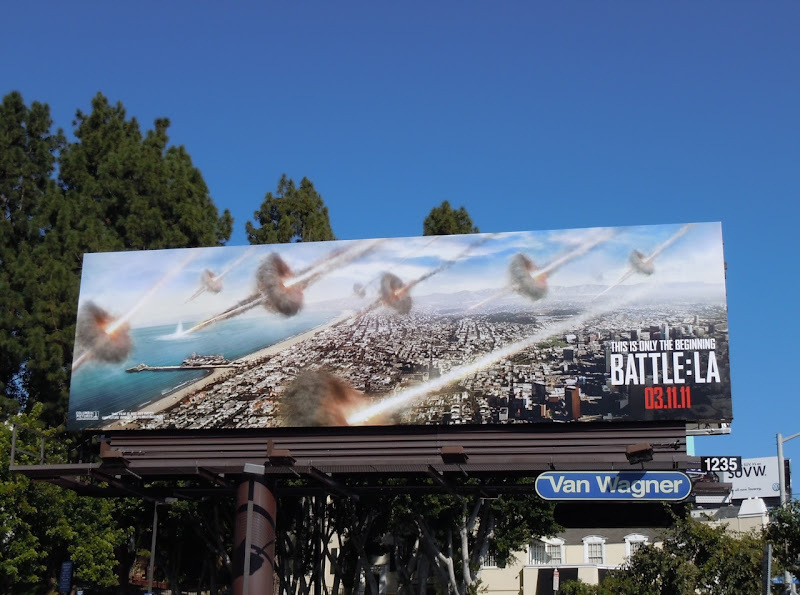 Finally Santa Monica Boulevard has been graced with a hot new AussieBum billboard creative and this one is simply bananas. Remarkably this hunky male specimen from Down Under is modeling a world first, eco-friendly underwear made from weave of the bark of the banana tree, soft organic cotton and bit of lycra for that perfect fit. 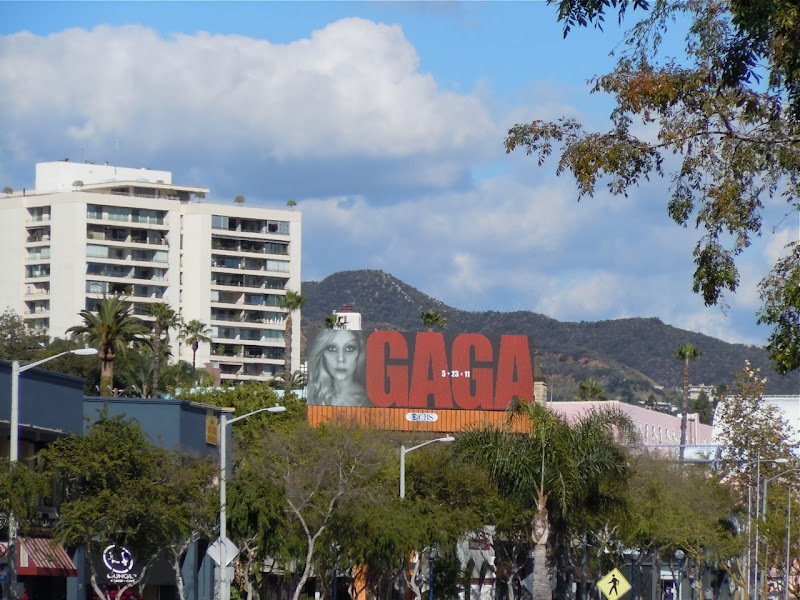 Be sure to check out more buff AussieBum billboards here at Daily Billboard. 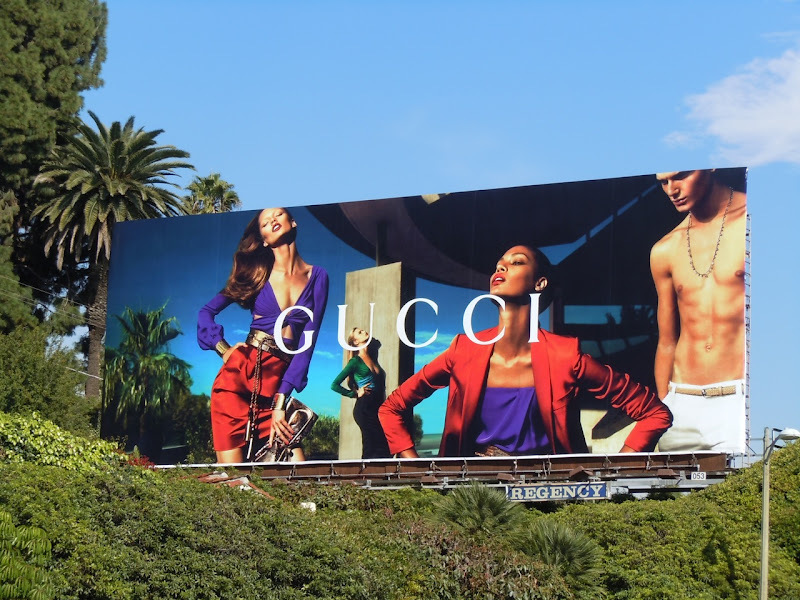 This hot male model billboard was snapped in West Hollywood on February 20, 2011. 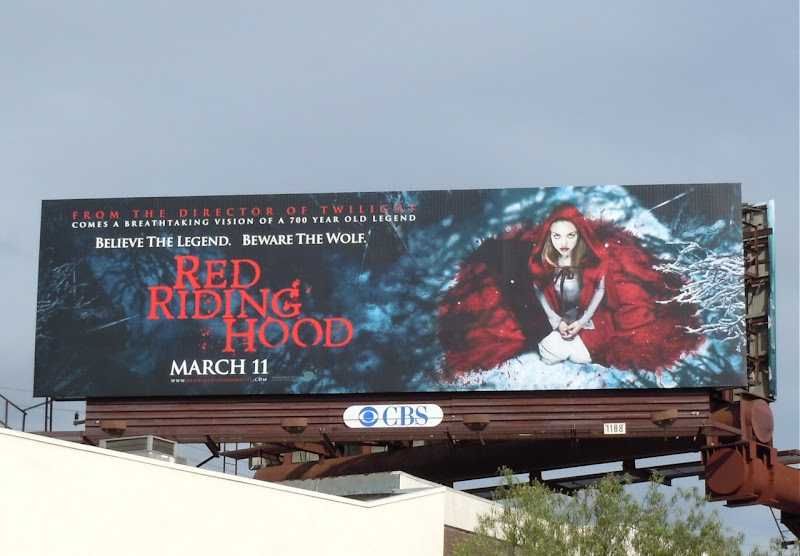 It's that special time of year again in Hollywoodland. 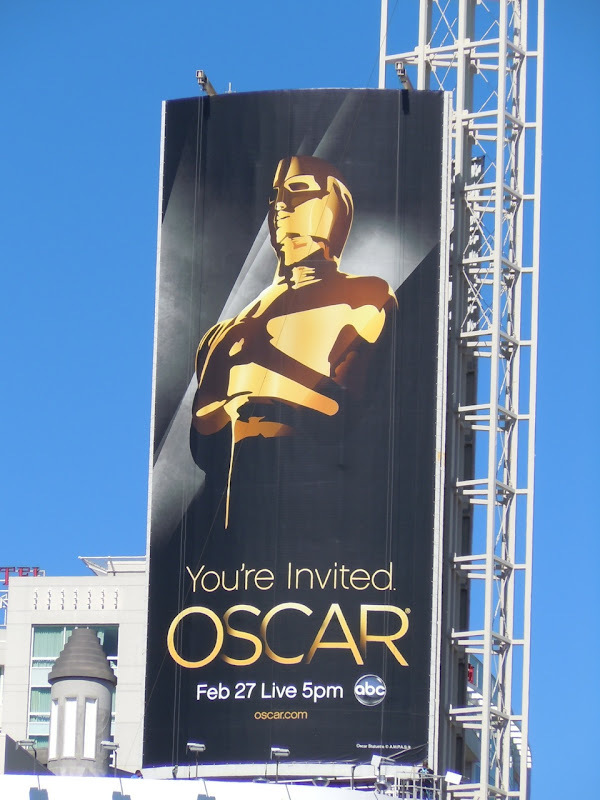 However, you may be invited like this billboard says, but unless you're a world class actor or have been nominated for one of 2010's movies, you're not going to get in to this year's Oscar awards ceremony. Luckily you can still see all the winners, and losers, on television. This year Anne Hathaway and James Franco host the prestigious awards, and he's even nominated for Best Actor in a Leading Role for 127 Hours. 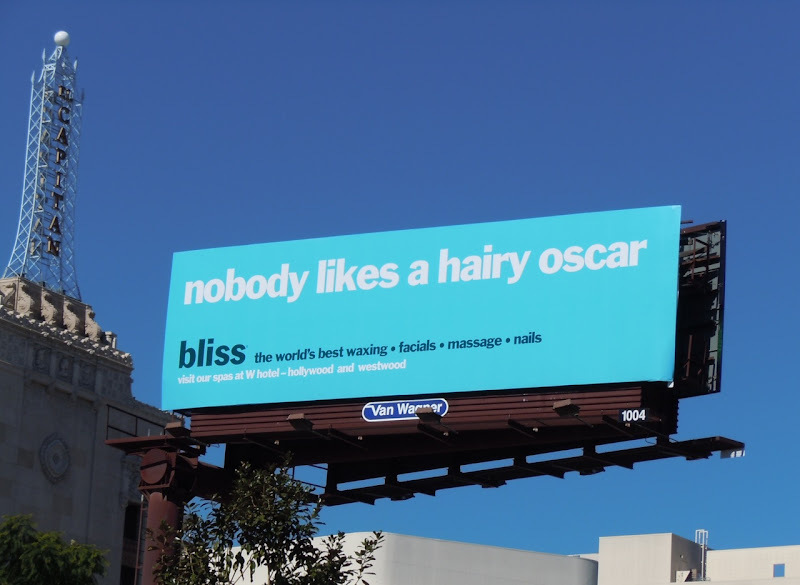 Plus as a special bonus today, not only do you get the official Oscar billboard, but also this witty creative just before it for Bliss spa services at W hotels. 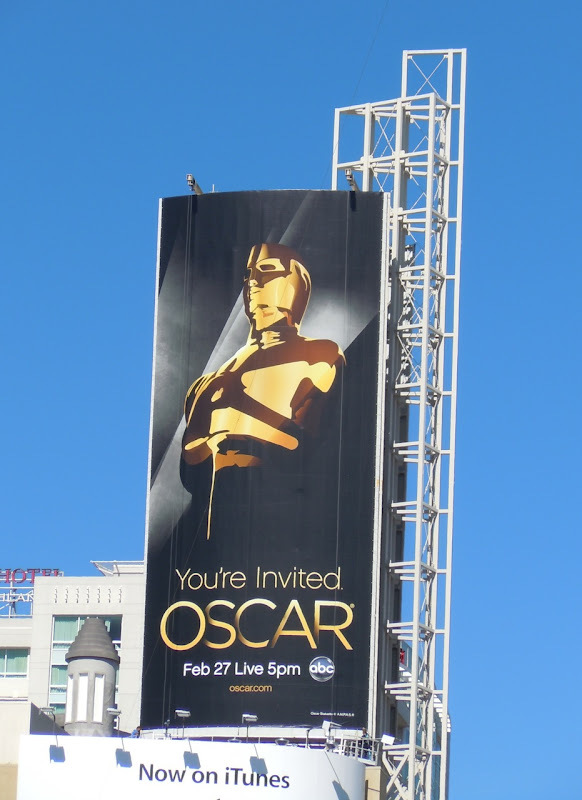 'Nobody likes a hairy Oscar', indeed. 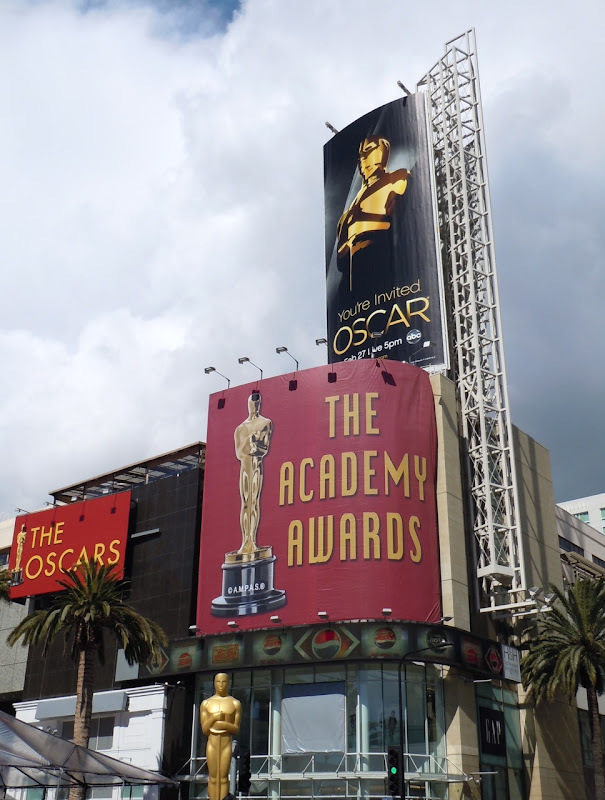 These great billboards were snapped along Highland Avenue and at the Hollywood & Highland Center (where the Academy Awards are held at the Kodak Theatre) on February 11 and with the golden Oscar statue on February 26, 2011. 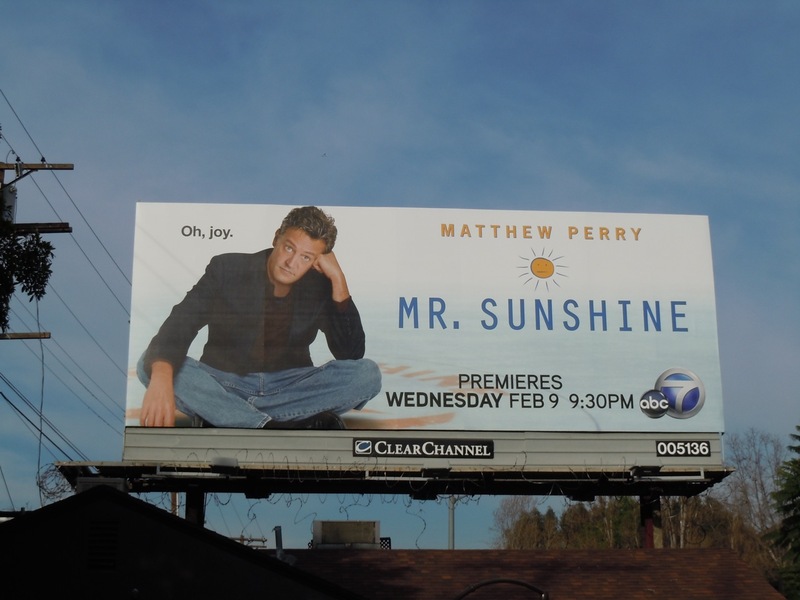 After all these years it looks like the Friends stars are enjoying a bit of a comedic resurgence on television, with Courtney Cox in Cougar Town, Matt LeBlanc in Episodes and now Matthew Perry returning in new show, Mr. Sunshine. So it's goodbye 'Chandler Bing' and hello 'Ben Donovan', an operations manager at Sunshine Center, a sports arena in San Diego. 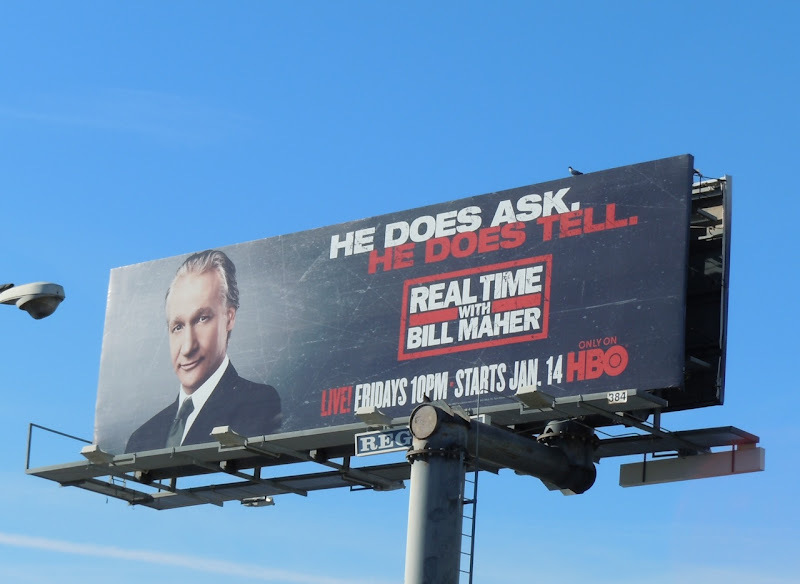 It'll be interesting to see how successful the new comedy will be and whether Matthew Perry's popularity is enough of a pull for the masses, as this billboard focusing on the actor suggests, but it's doubtful that this show will be the pop culture defining phenomenon that Friends became. 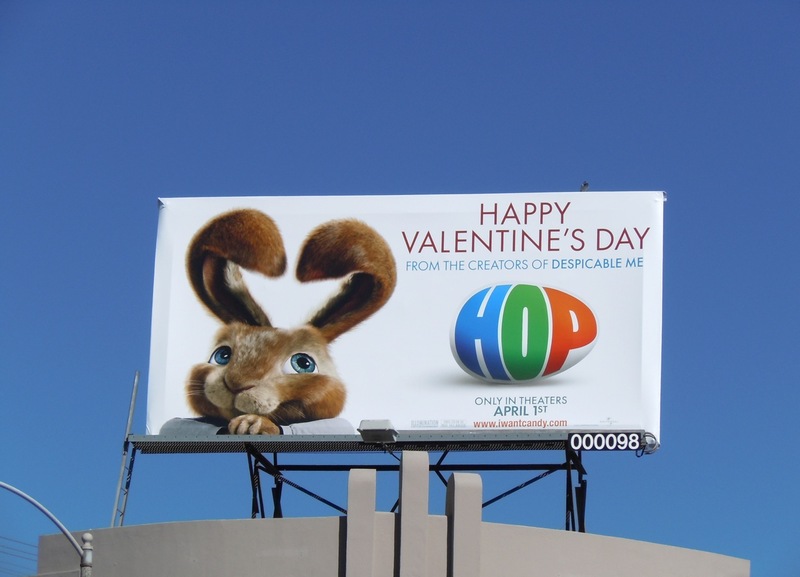 This simple TV billboard was snapped along Barham Boulevard in L.A. on February 5, 2011. 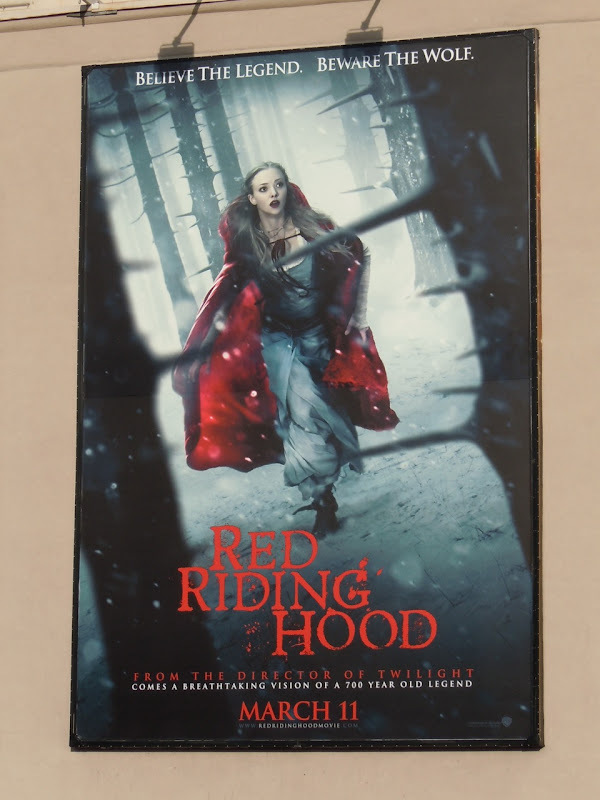 When all else fails and new ideas are in short supply, the film studios seem to look to literary classics and iconic fairytales, take for example the Brothers Grimm's Little Red Riding Hood. To make this version a little more appealing to contemporary audiences the wolf is now a werewolf and the movie is helmed by the director of Twilight, so some supernaturally popular credentials for this new take on the 700 year old legend. 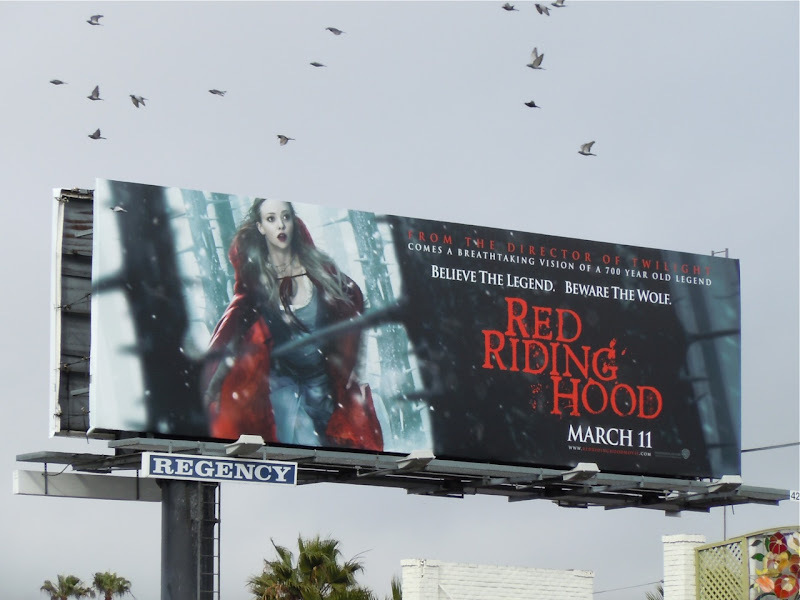 Whatever the modern interpretation, you'll have to agree that Amanda Seyfried wears the red cloak well (although she's not so little) and these billboards look dramatic and intriguing. 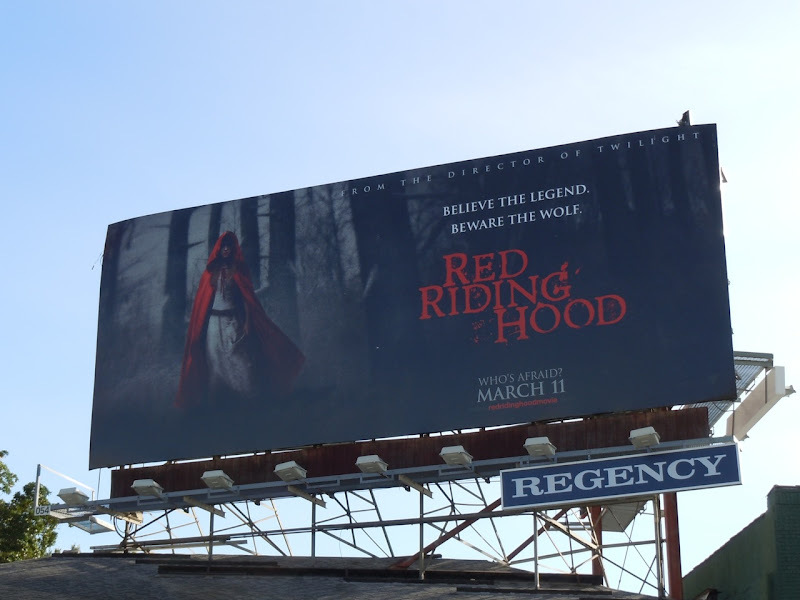 The absence of primary colours aside from the rich red of her hooded cloak and the bloodied film title text, really make these visuals pop. 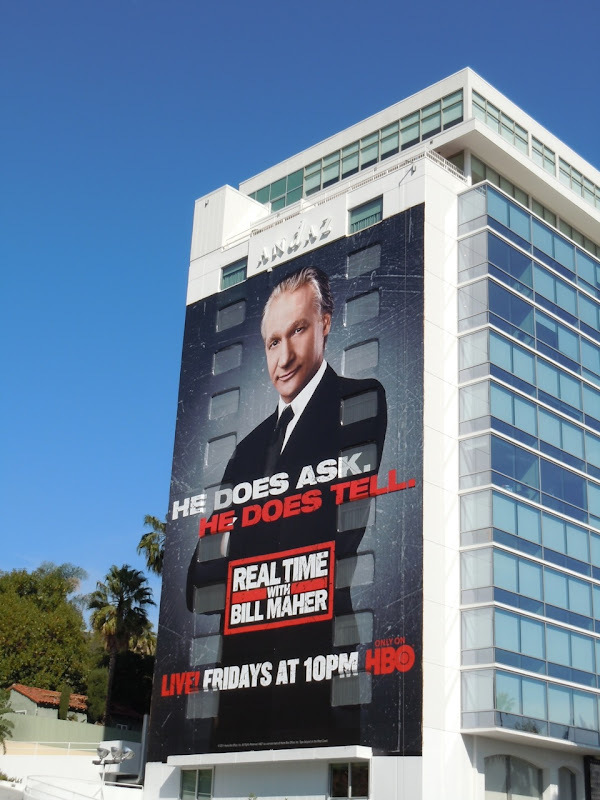 The larger billboard was photographed at Warner Bros. Studios in Burbank, California and the 'Who's Afraid?' 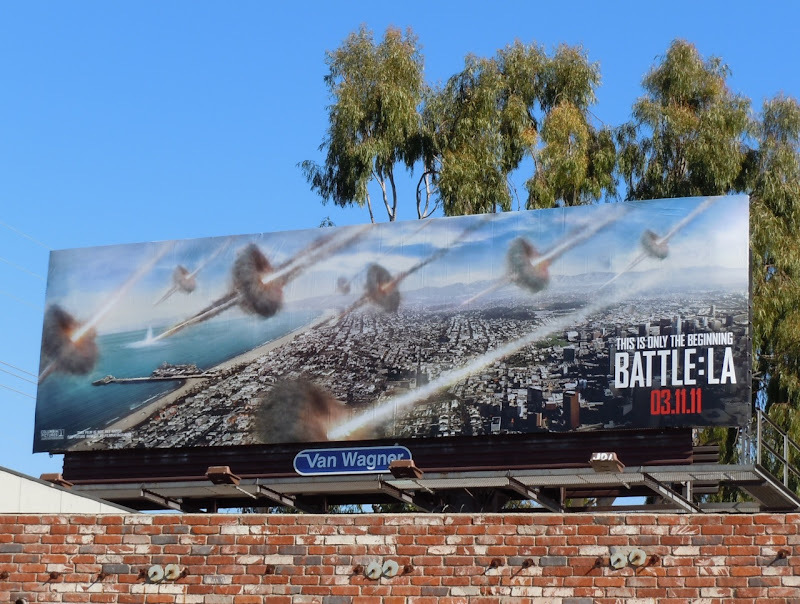 version along L.A.'s Sunset Strip on February 6. 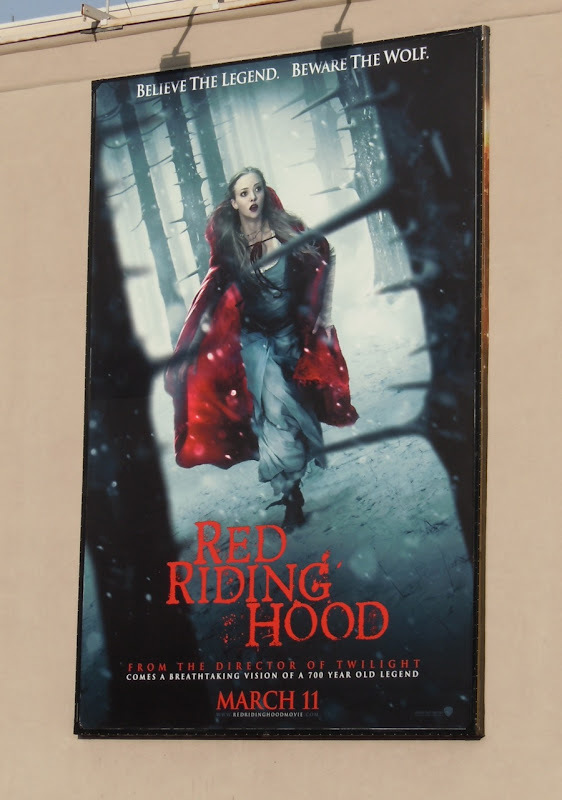 The other versions with Amanda Seyfried kneeling in the snow and running through the forest were snapped on a gloomier February 16, 2011. 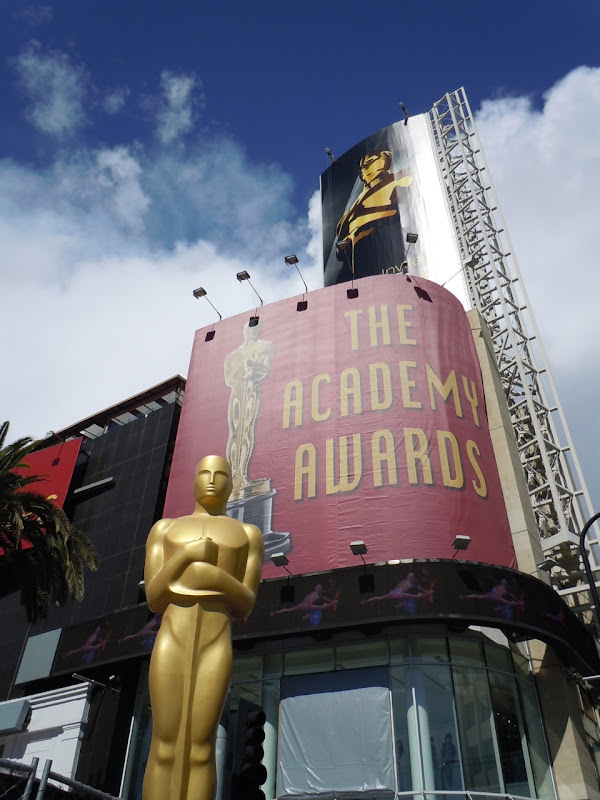 In just seven days time the 83rd Annual Academy Awards will be held in Los Angeles and so Daily Billboard is keeping its fingers crossed for one of the best movies of the year, The King's Speech. 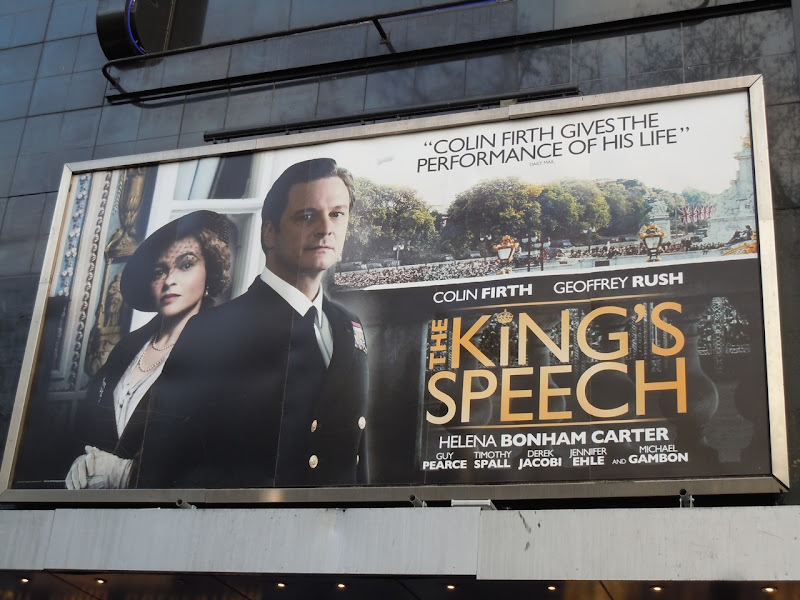 The period drama about the British Monarchy leads the pack with twelve Oscar nominations including Best Picture, Best Actor in a Leading Role for Colin Firth, Best Directing, Best Supporting Actor and Actress for Geoffrey Rush and Helena Bonham Carter respectively, Art Direction, Cinematography, Film Editing, Music (Original Score), Sound Mixing, Writing (Original Screenplay) and Costume Design. 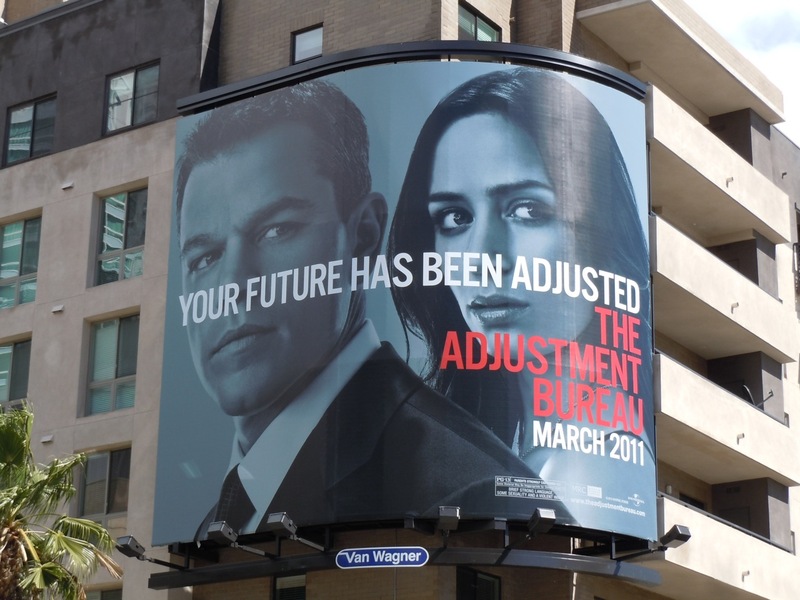 These two billboards for the movie were photographed on February 1, 2011 on the Odeon Cinema in Leicester Square, London. 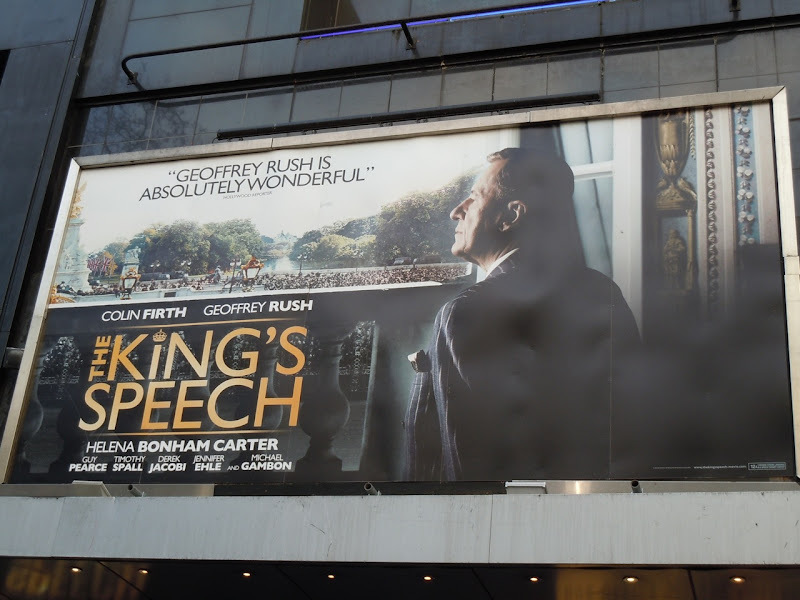 If you like this movie, then you'll love these Oscar-nominated original costumes from The King's Speech on display. Do we really need another cop show on TV? Apparently so, because here's The Chicago Code to clean up the crime and corruption on the streets of Chicago, Illinois. These cops look like they mean business though and they certainly know how to strike a pose, let's see if the show can 'talk the talk' as well as 'walk the walk' and become a ratings success story. 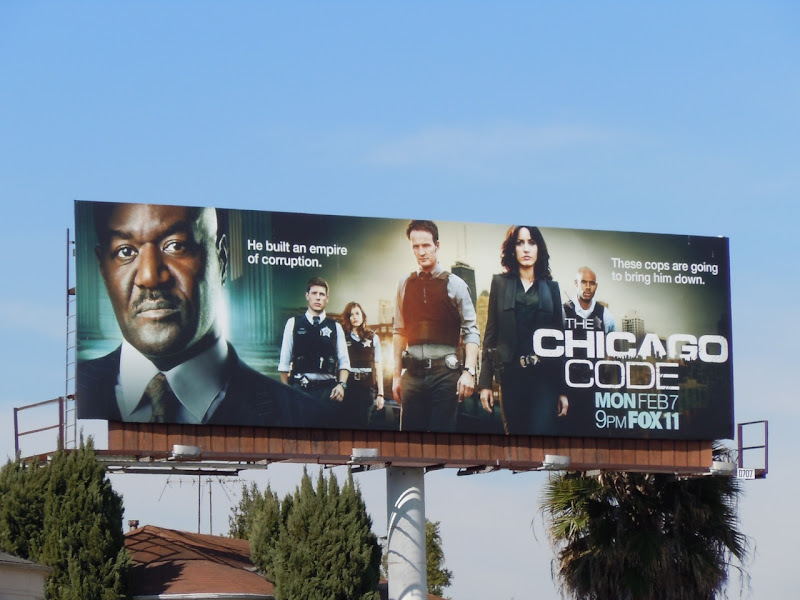 This television billboard was snapped along La Cienega Boulevard at Packard Street on February 4, 2011. 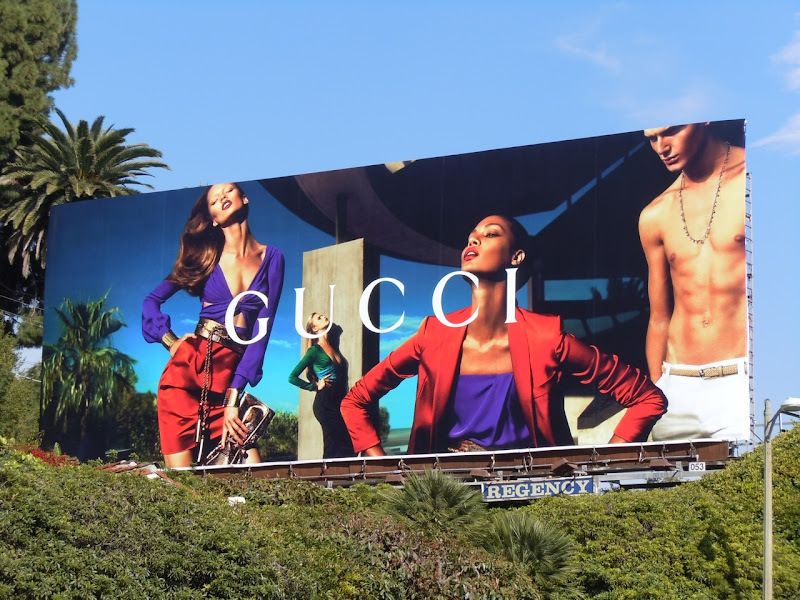 How nice it is to see a bold, confident and colourful new season Gucci collection billboard to replace the Jennifer Lopez Gucci billboard which seemed to linger forever along L.A.'s Sunset Strip. 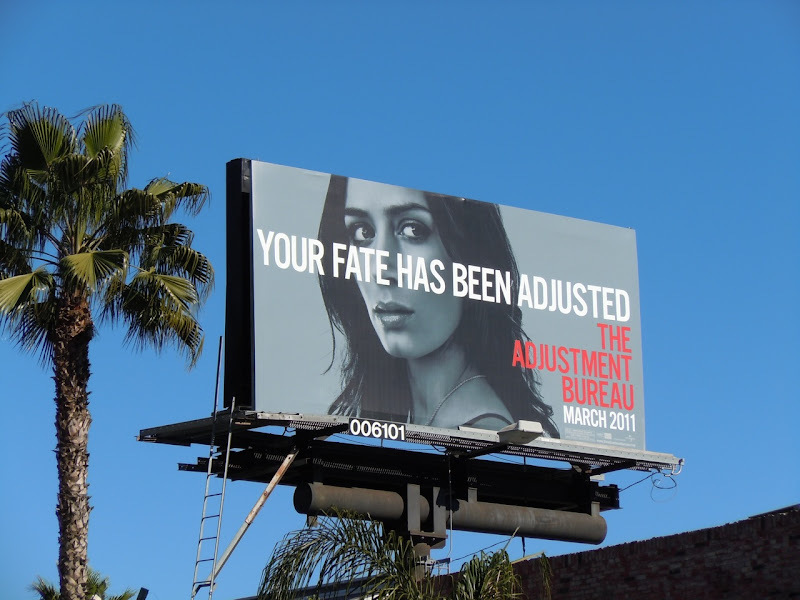 This fabulous new fashion billboard was snapped below the Chateau Marmont hotel along Sunset Boulevard on February 4, 2011. 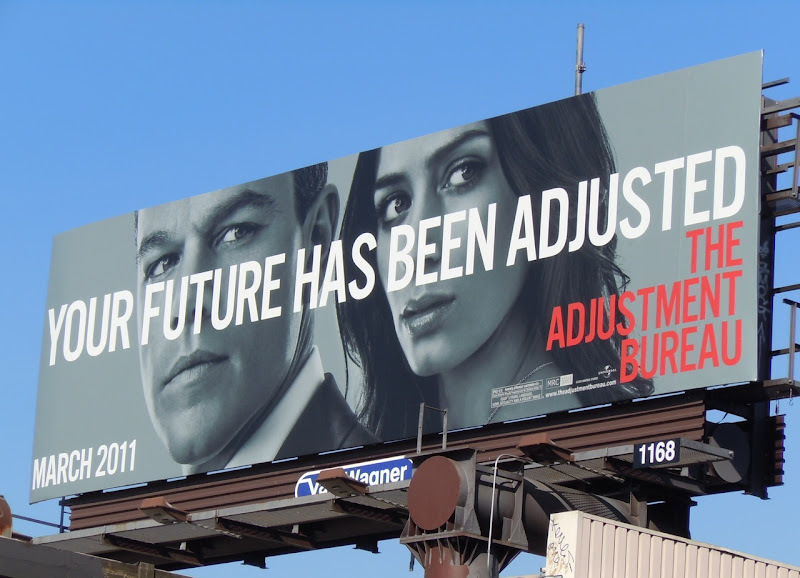 According to these billboards, your world, your future and even your fate can all be manipulated by The Adjustment Bureau. 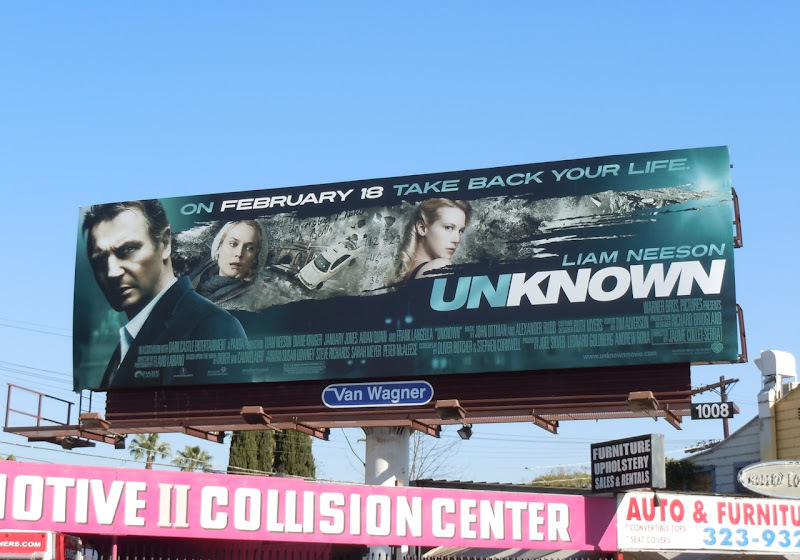 The billboards for Matt Damon and Emily Blunt's new romantic sci-fi thriller look suitably moody and mysterious, and leave you just a little bit intrigued too. The mono creatives with just that splash of red look great against that California blue sky and really stand out for their absence of colour. 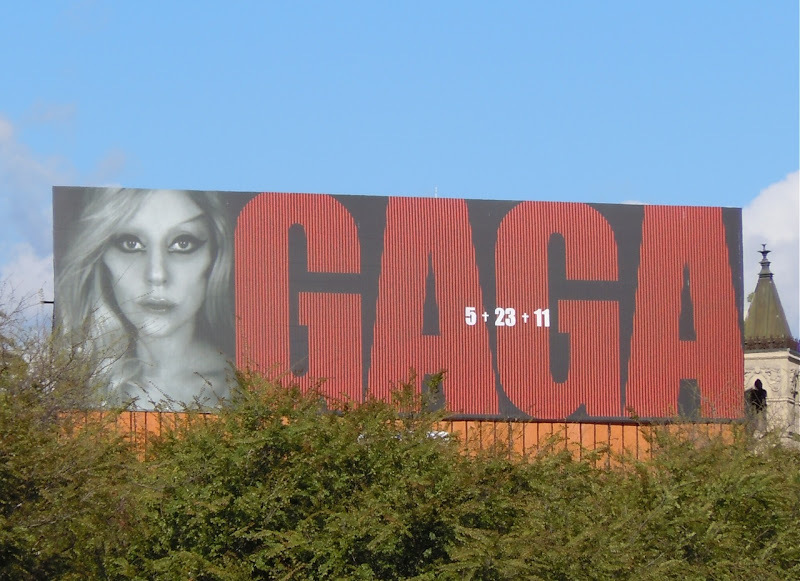 These different billboard creatives were all snapped around the streets of Los Angeles on February 6, 2011. 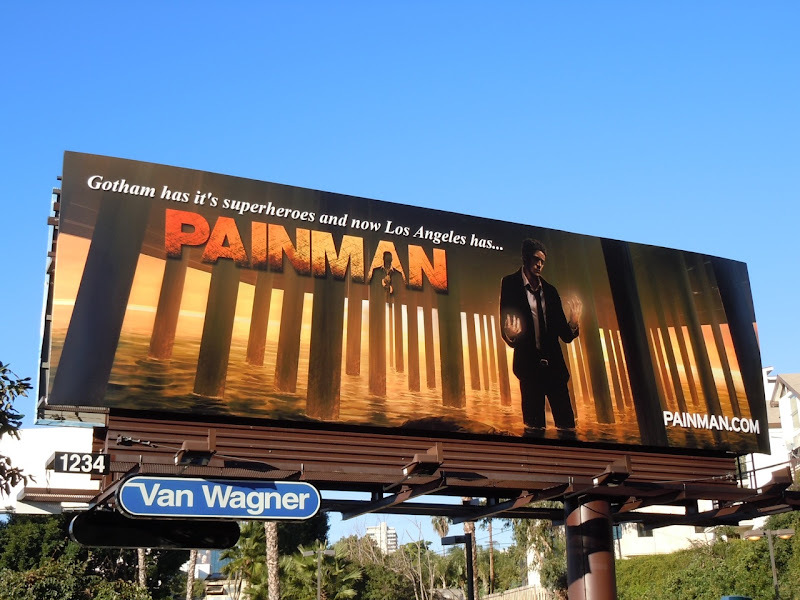 When Daily Billboard arrived back in L.A. from London these billboards for Painman caught our eye. 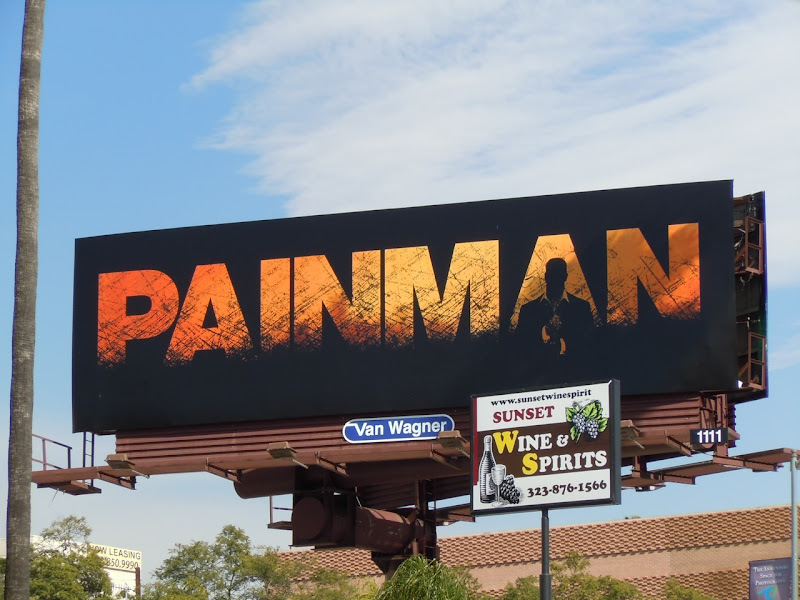 Who is this Painman? 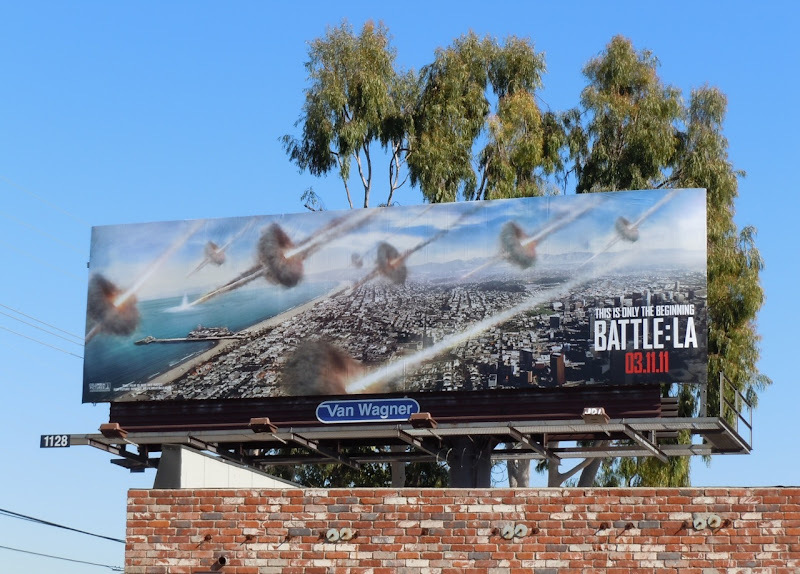 Are the intriguing billboards for a new video game, animated series or a new movie? Apparently the answer is that he's a superhero and the star of a new motion comic book based in Los Angeles. 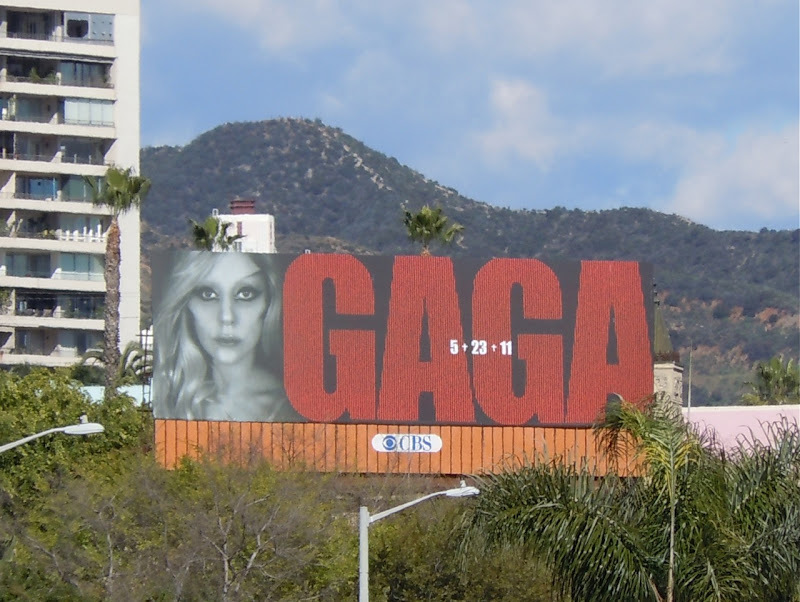 Both billboard creatives were snapped along Sunset Boulevard on February 4, 2011. 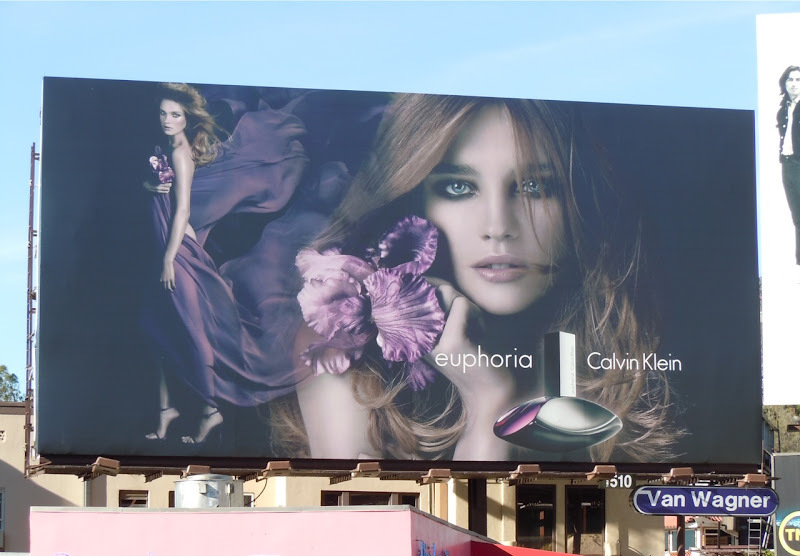 Natalia Vodianova looks pretty in purple for this dreamy billboard for Calvin Klein's Euphoria fragrance (and well timed for Valentine's Day). 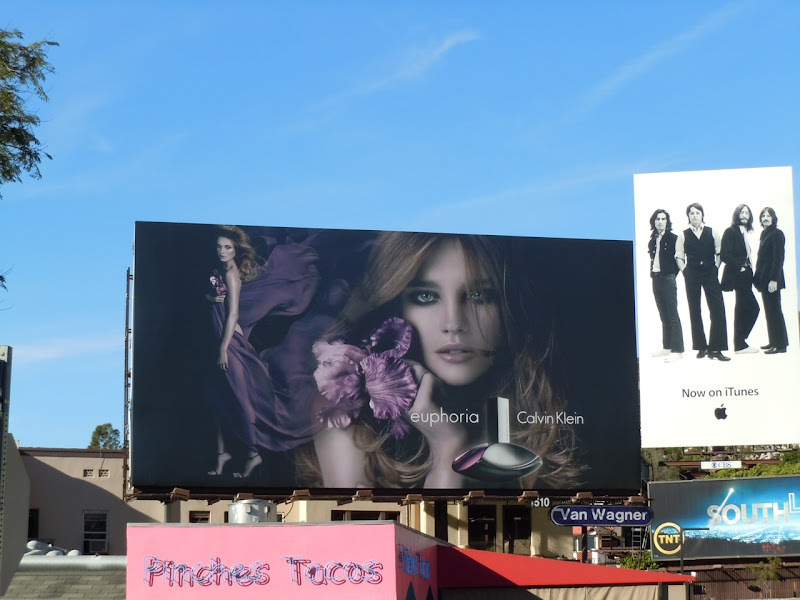 The black orchid inspired perfume is a blend of exotic fruits and seductive florals, which is reflected in this rich and opulent looking billboard snapped along L.A.'s Sunset Boulevard on January 12, 2011. 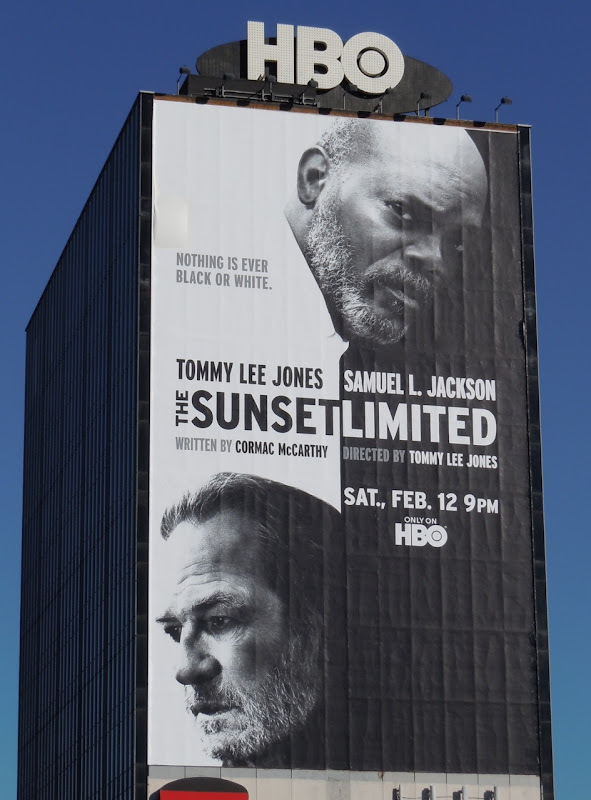 Nothing is ever black or white proclaims this billboard for The Sunset Limited, and yet this is a fantastic example of an arresting black and white billboard creative. 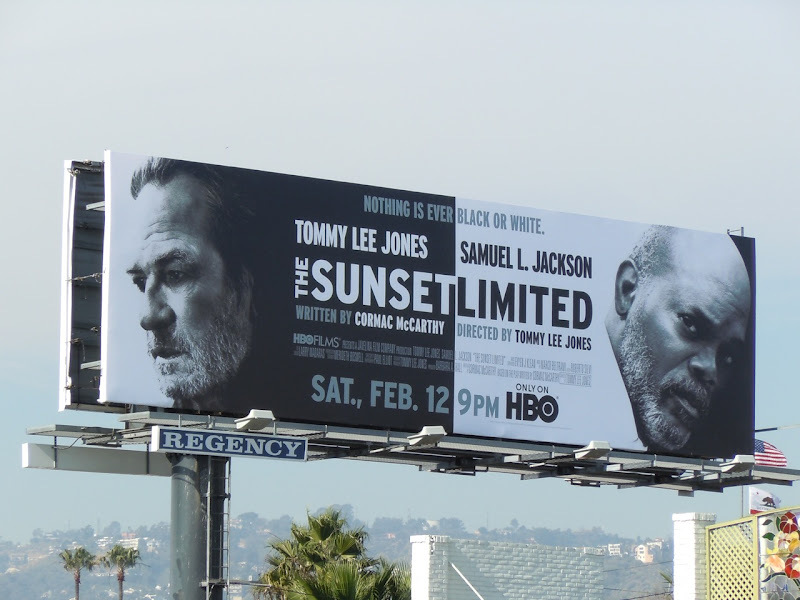 Obviously it helps when you have instantly recognisable big names and faces to grab your attention, like Tommy Lee Jones who stars and directs alongside Samuel L. Jackson in this HBO movie adaptation of Cormac McCarthy's play of the same name. 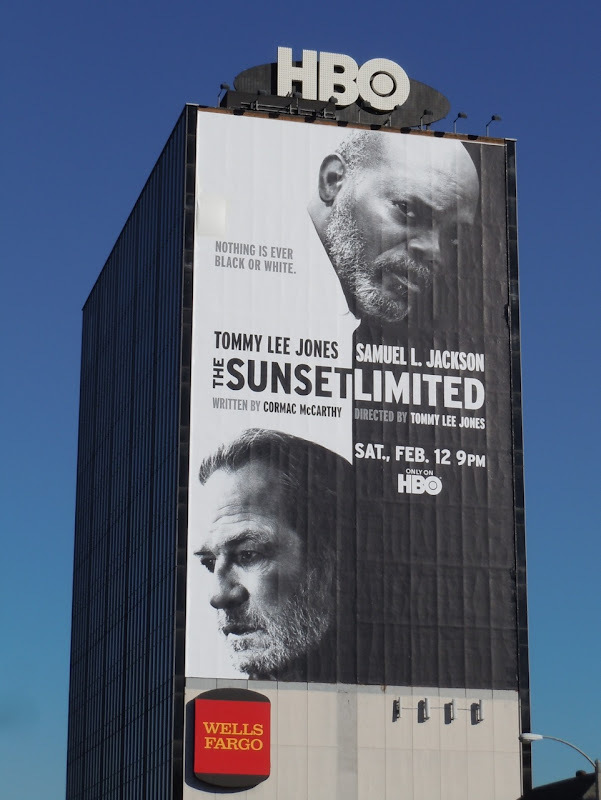 In case you're wondering about the title, 'The Sunset Limited' is the name of the subway train that Tommy Lee Jones' college professor tries to throw himself under in this character drama about two very different strangers brought together by desperate circumstances. Samuel L. Jackson plays the religious ex-con who stops his suicide attempt. 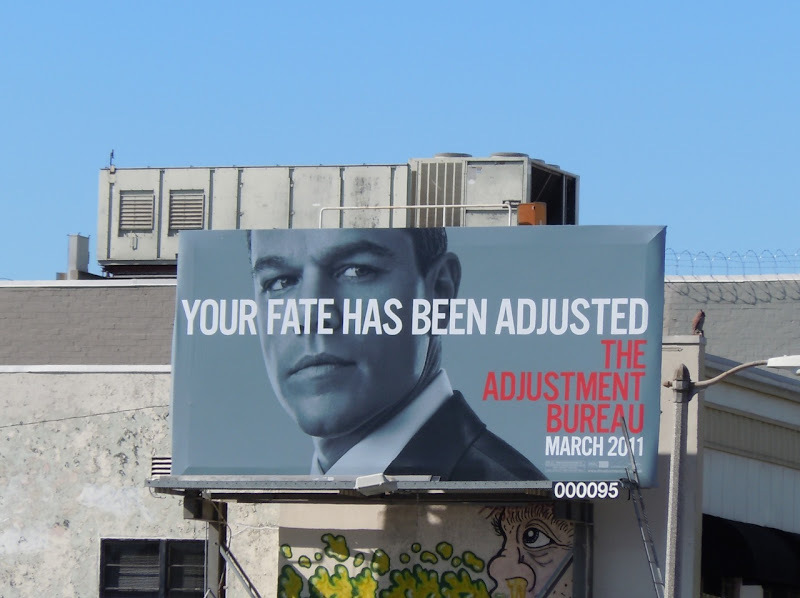 The smaller billboard was snapped on January 19 along Melrose Avenue and the larger creative on the side of the 9000 Sunset Boulevard building on February 9, 2011. 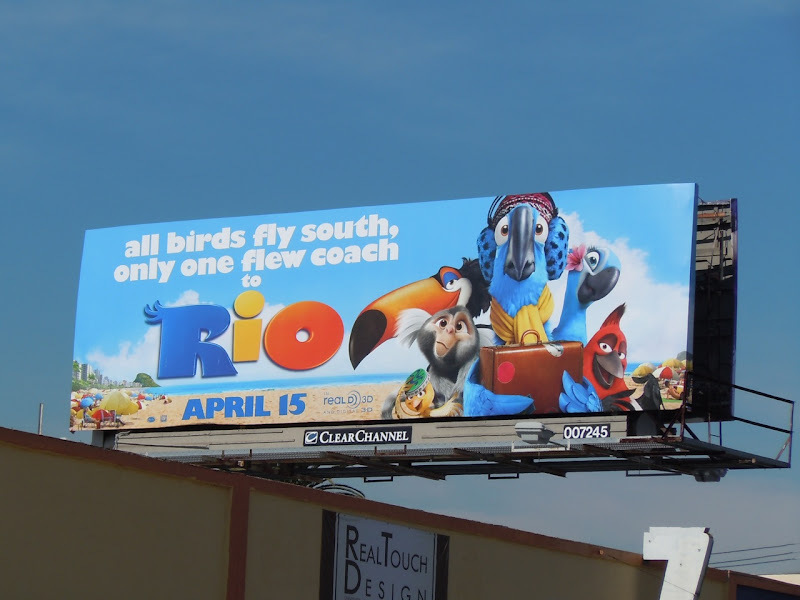 The advertising campaign for new animated movie Rio has the most colourful billboards Daily Billboard has seen around L.A. in a while. 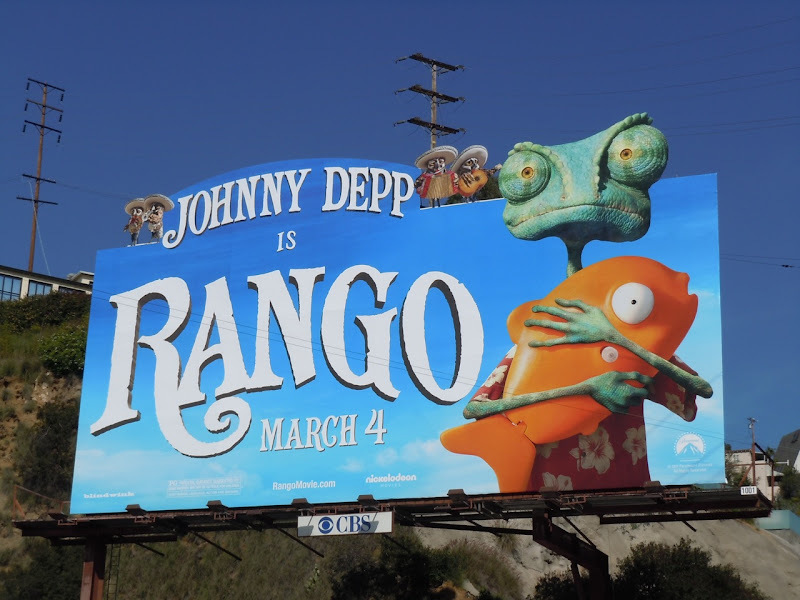 No doubt being a family movie the bright billboards with their cute characters are designed to appeal to kids, but regardless of their target audience, they add a splash of colour to the sprawling city skyline which is a nice visual relief for everyone. 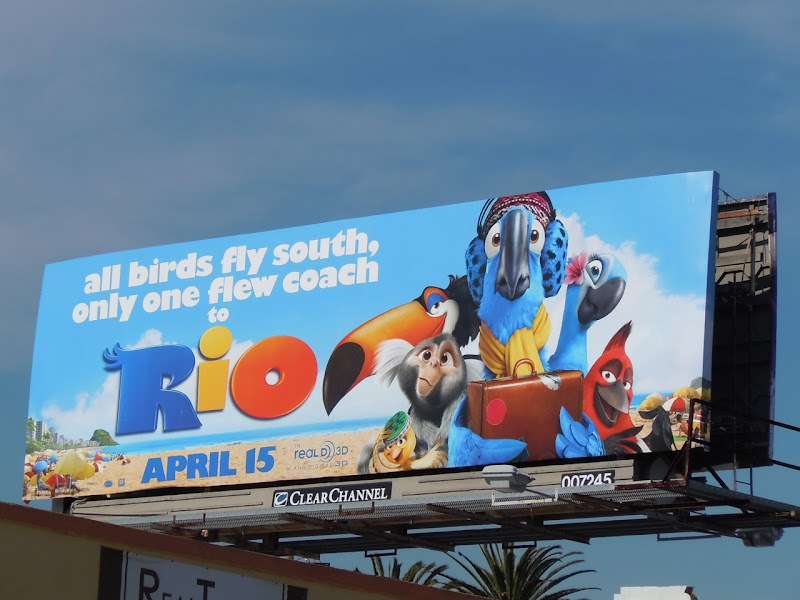 This fun billboard, featuring 'Blu' the rare macaw and his many-hued friends, was snapped along South La Cienega Boulevard at Horner Street on February 4, 2011. 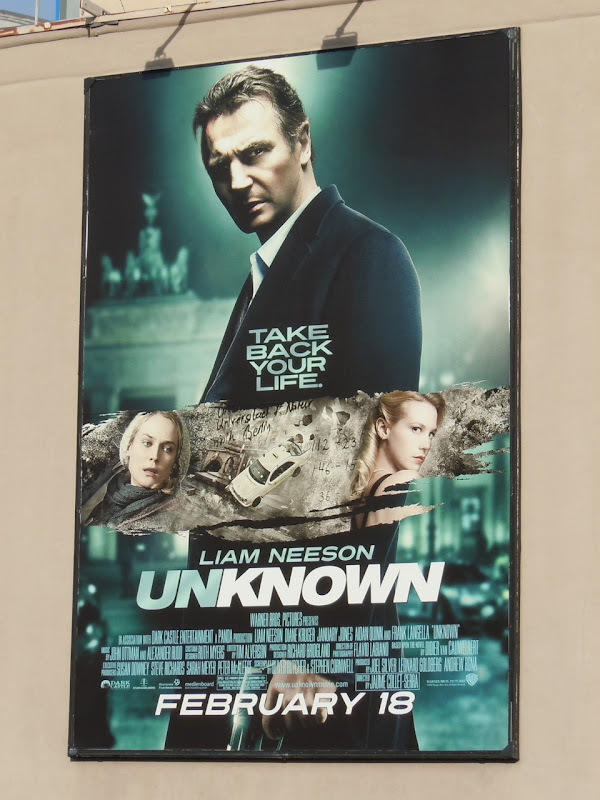 Be sure to also check out the Get lost in Rio billboard for this movie. 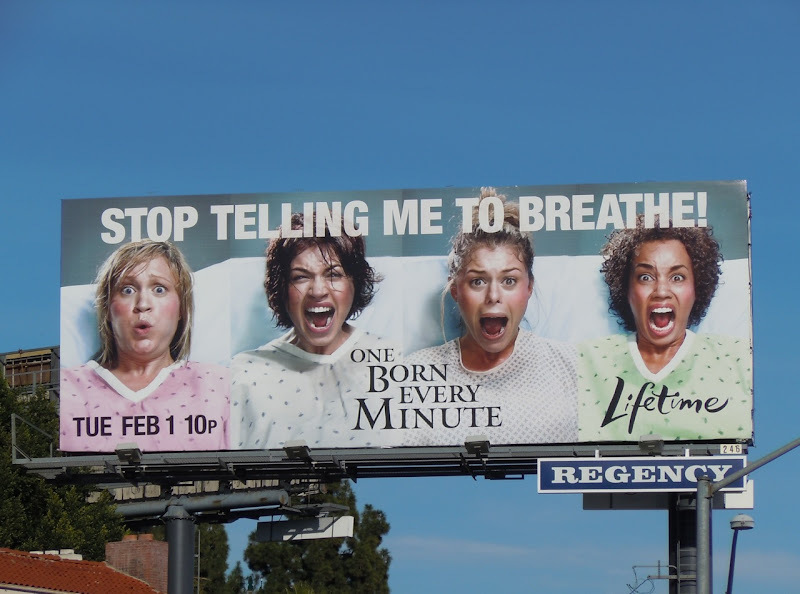 If the pained expressions on these four ladies faces weren't enough, the marvelous tagline, 'Stop telling me to breathe', perfectly sums up the joys (and agonies) of childbirth. 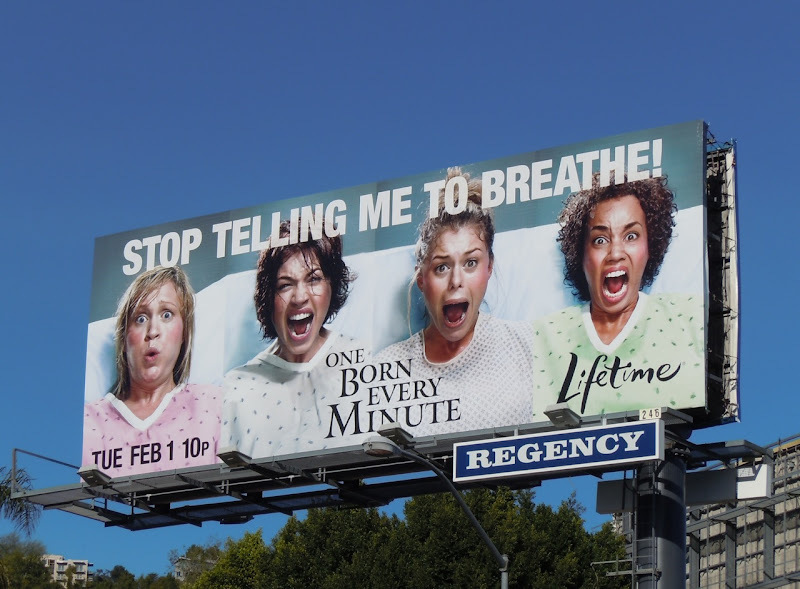 This hilarious billboard for Lifetime's new maternity ward based reality TV show, One Born Every Minute, was snapped along Sunset Boulevard in West Hollywood on February 6, 2011. 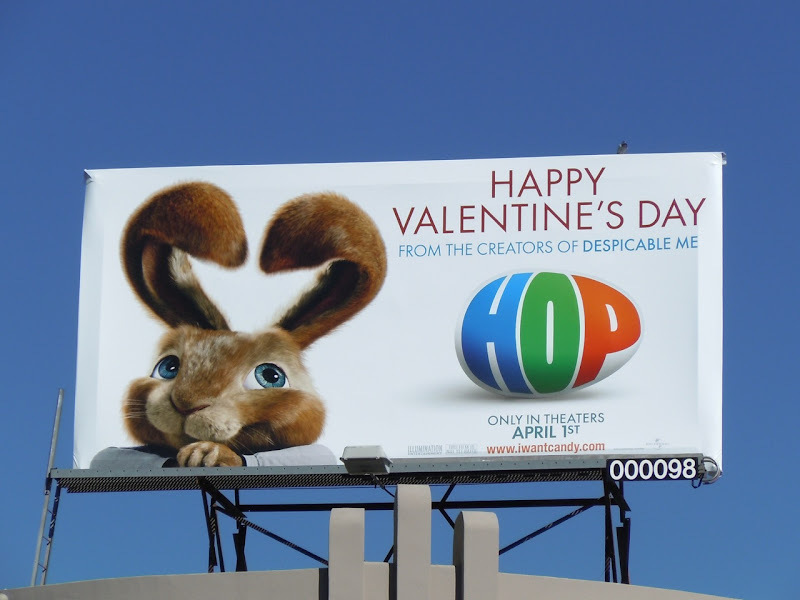 What is it with animated characters starting with the letter 'R' in 2011? 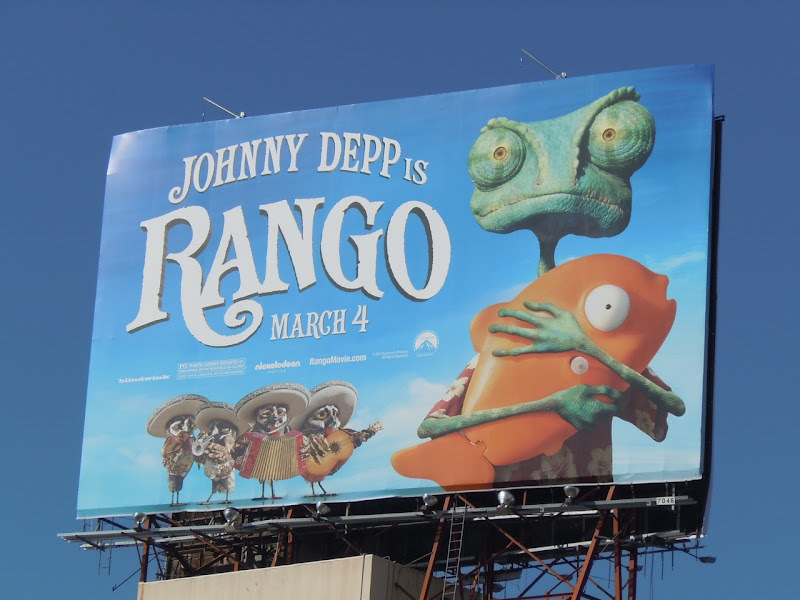 First there was the blue macaw in Rio and now there's a chameleon called 'Rango', voiced by Johnny Depp, making his cinematic debut. 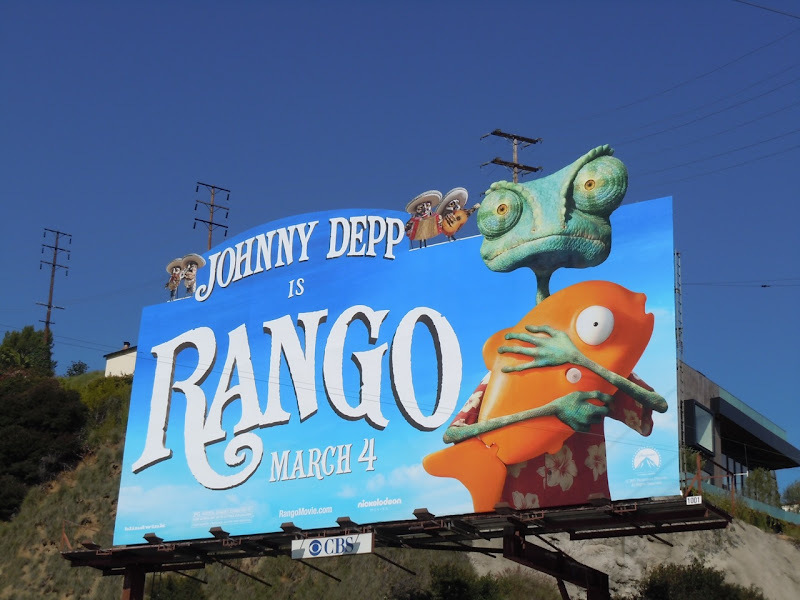 With those bulging eyes Rango looks naturally comedic, and this fun, colourful billboard really does pop along Sunset Boulevard at the top of La Cienega Boulevard where it was photographed the day it was installed on February 4. 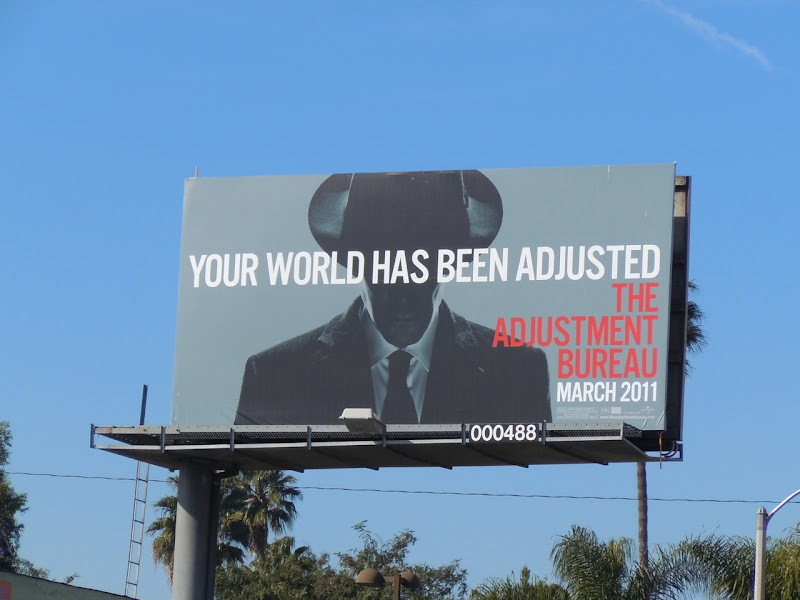 An ever so slightly different creative was snapped along Wilshire Boulevard near the La Brea Tar Pits on February 6, 2011, but my preference is for the version which escapes the constraints of the normal rectangular billboard dimensions.